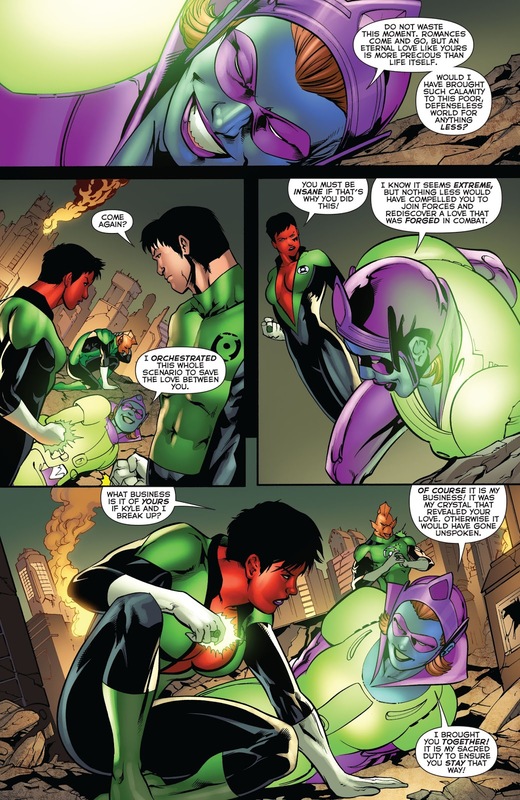 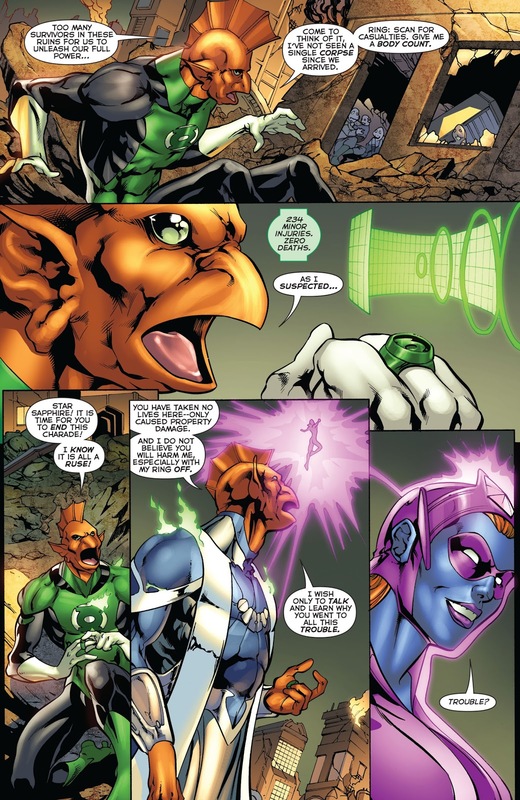 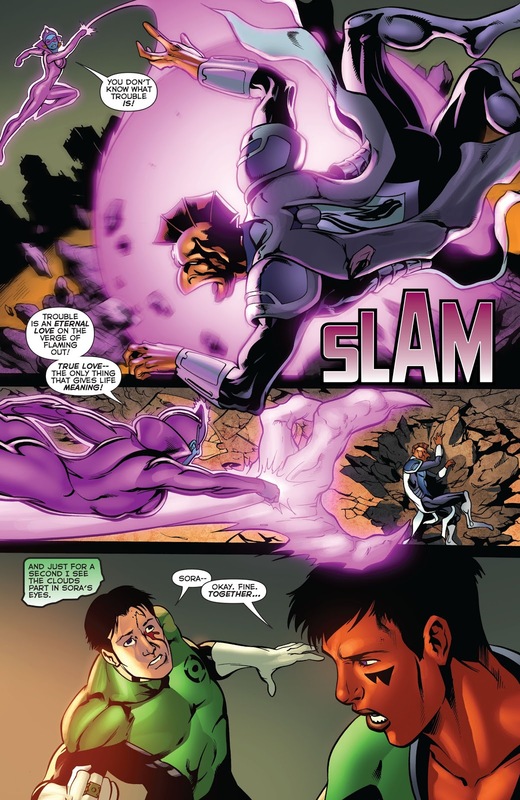 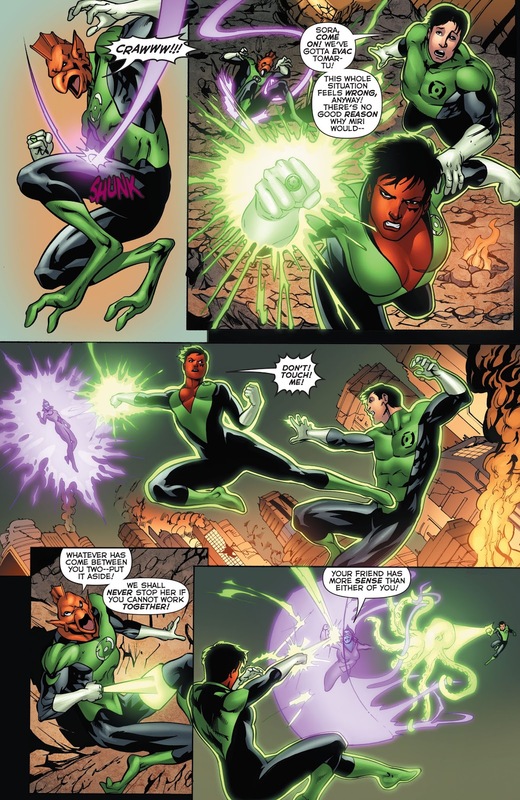 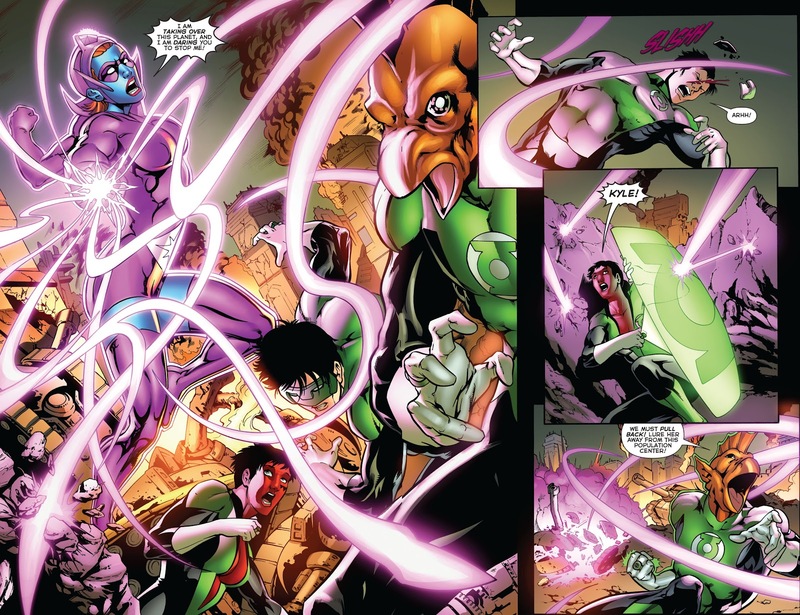 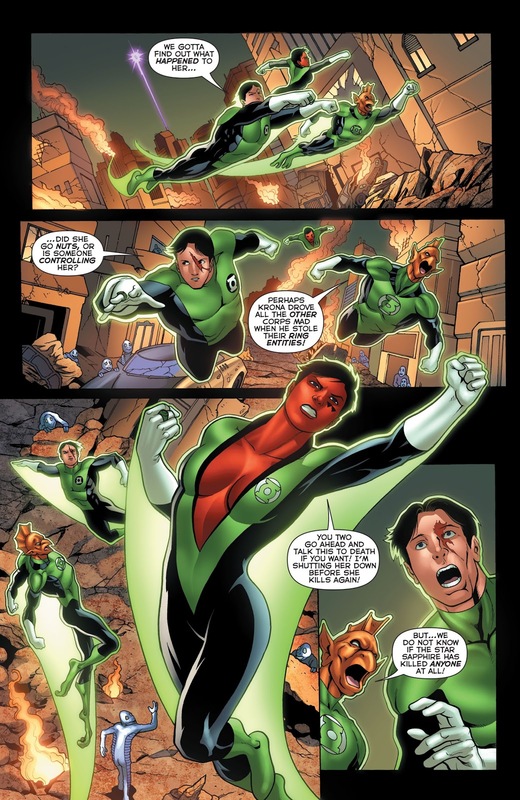 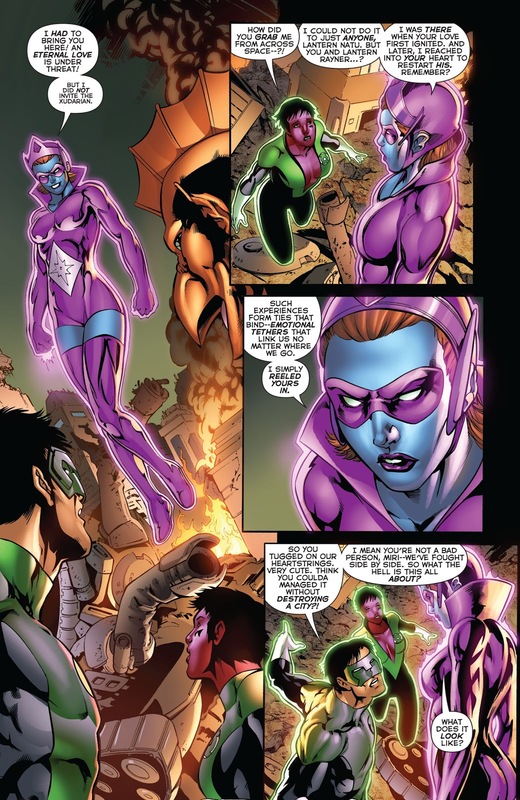 Green Lanterns Kyle Rayner, Soranik Natu and Tomar-Tu faces off against Star Sapphire Miri, who admits faking the fight in order for Soranik and Kyle to make amends between each other. 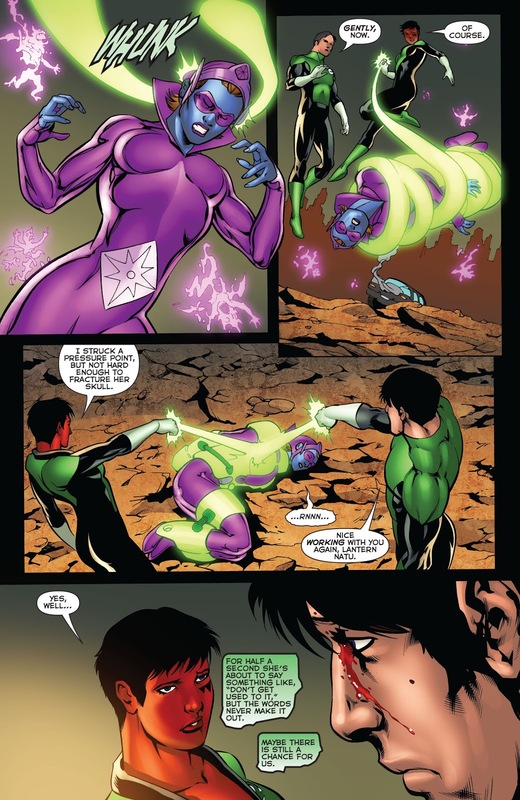 Interesting to know that a Star Sapphire can teleport individuals that they’ve helped realize their love for one another. 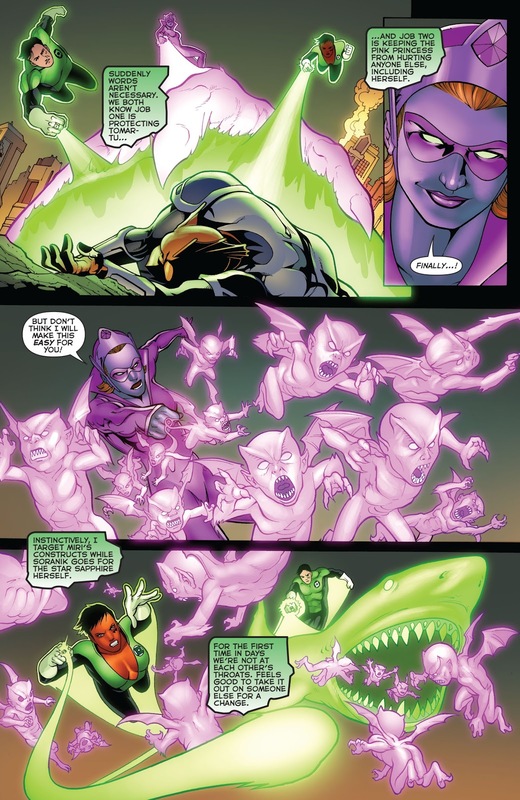 It’s a lesser version of the teleporting skills of the Indigo Lanterns.